So you Cannot change network to bridged: There are no un-bridged host network adapters. VMware Bridged Mode : Your host computer will share its network connection with the virtual machine, your virtual machine will be sitting as if it were another computer on your network, everyone on the network will see it and be able to interact with that virtual machine . Both options will give you internet access if your host computer has Internet access. 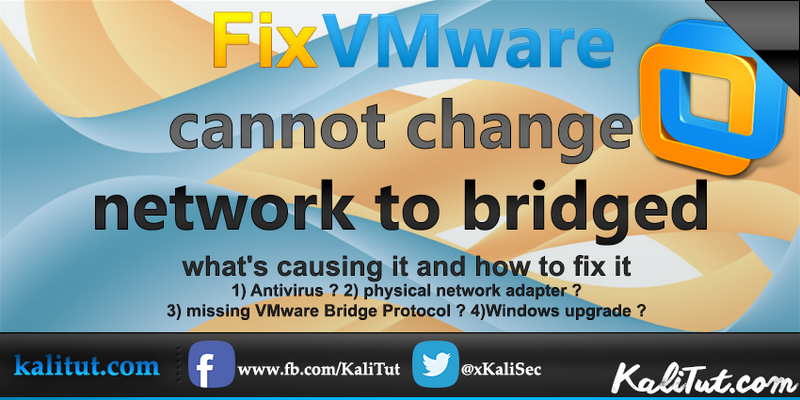 vmware network configuration is easy only if we understand what we are really doing ! not just playing around and trying this and that ! Step 1) let's start with what antivirus you have in your host computer ? what if i don't have kaspersky how can i fix it ? 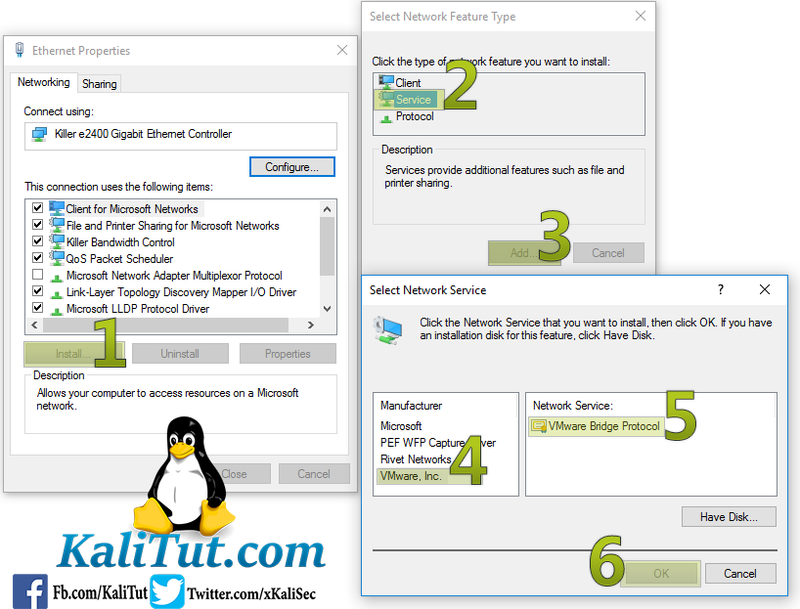 Step 2) bridge your virtual machine to a specific physical network adapter. if you have more then physical network adapter that may case this type of errors i had an error like that years ago when i installed skystar 2 , it's a satellite card but for vmware it's just a network card and vmware used to auto select that card as a source for the internet, i had to check vmware network configuration and change it to the right card, now this what we are about to do ! Disable auto bridging before selecting the physical adapter required in the virtual network editor. 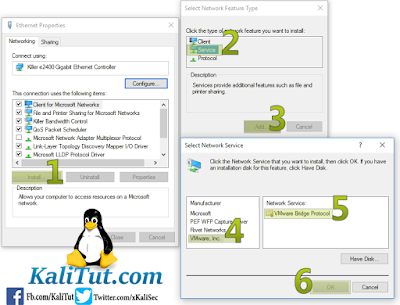 In the Virtual Network Editor, click Add Network. From the dropdown menu, select the VMnet adapter you want to use. 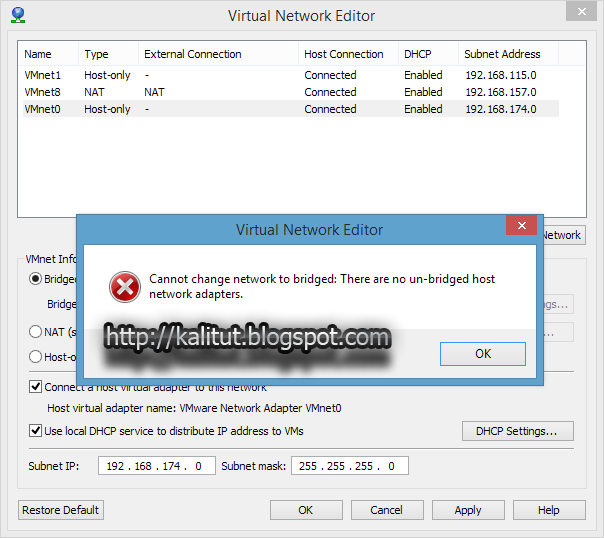 Select the newly created VMnet adapter in the display field and select Bridged. 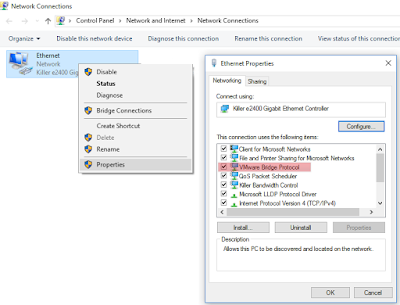 From the dropdown menu select the physical network adapter you want to bridge to. 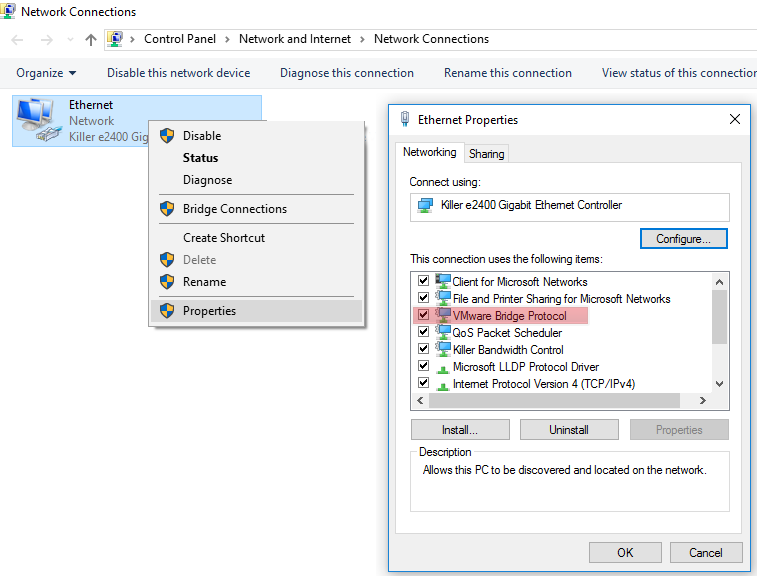 Adjust the virtual machine network settings to use the bridged adapter. 3) did you upgrade your Windows ? from 7 to 8 ? or to 10 ? right click on it then click Properties. on manufacturer bar choose VMware, Inc.
4) non of the above worked for you ? and did you had it to work before ?